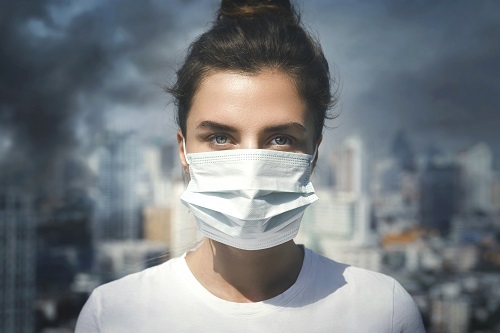 UV lights and air filters remove airborne pollutants like bacteria, mold, and mildew from the air at your home or business. Air Quality Controllers carries a selection of UVC lights and MERV 11 air filters to eliminate and block bacteria in your air ducts. 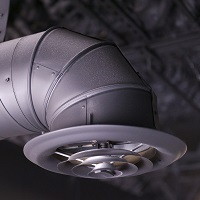 Contact our Milwaukee IAQ experts today to start purifying your air. The sun emits several kinds of ultraviolet (UV) radiation. The effects of UVB radiation are known by most people who have spent too much time in the sun. The common sun burn is actually skin damaged by the sun’s UV radiation. Less well known are the positive effects of UVC radiation. Most UVC radiation is absorbed by the Earth’s atmosphere, naturally limiting its effect on the planet. This radiation is deadly to bacteria, viruses, molds, fungi and other harmful microorganisms. UVC radiation damages cellular DNA, preventing growth and inhibiting reproduction. Harnessing UVC radiation and using it to kill unwanted biological contaminants dates back to 1903 and the technology has proven to be safe and effective. UVC radiation treatments are an excellent way to increase air quality and remove indoor pollutants in residential and commercial settings. 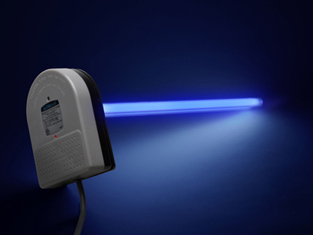 The V-RES Home Air Treatment System UVC lamp kills 99.99% of harmful microorganisms, including Influenza A and H1N1, within one hour of air re-circulation in a home. ALTRU-VUVC radiation lamps located inside air ducts expose large quantities of microorganisms to UVC radiation while keeping the building’s inhabitants safe from any negative effects. The circulating air inside a duct allows repeated exposure to the radiation for effective elimination of bacteria and other organisms. The V-RES home air treatment system offered by Air Quality Controllers offers continuous disinfection in residential and small commercial HVAC systems. Both the standard 26 watt and high output 60 watt V-RES Home Air Treatment System options feature multiple safety functions to protect against accidental exposure to UV-C light. Family and employees alike will enjoy a healthier, cleaner environment when you choose the V-RES Home Air Treatment System from UltraViolet Devices, Inc.
Keeping air ducts clean is vitally important to maintaining the V-RES home air treatment system operating at peak efficiency. A dirty duct can severely limit the map’s effectiveness. Dust covering the lamp will absorb some of the UVC radiation and lessen the amount bacteria are exposed to. Thick layers of dust may hide bacteria from the lamp, allowing them to pass by unharmed. We recommend regular duct cleaning services to eliminate dust build-up and allow the UVC radiation lamp to do its job. If you or a member of your family has a weakened immune system, using UV light to neutralize germs and bacteria will make it easier to stay healthy. Contact Air Quality Controllers for more information or to schedule installation for your V-RES UVC light today! 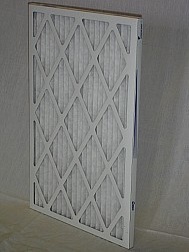 Contact the Milwaukee air filter professionals at Air Quality Controllers to place your order! Not sure how or when to replace your home air filters? Air Quality Controllers has some advice for keeping track of your filters. Where you live and the time of year will make a difference on how often your filters should be replaced.